One week environmental education and resilience oriented program with presentations, videos, examples and artistic activities about global issues on plastic pollution and alternatives to apply locally. Every piece of plastic found on the beach, is MAPARE : “Material Para revivir” (Material to revive!). Trash is a negative word and we want to cancel it from the vocabulary of children and volunteers! We collect Mapare and separate it by colors and type of plastic or material. We are bringing the best finds of Mapare back to the city so that artists can create art pieces. 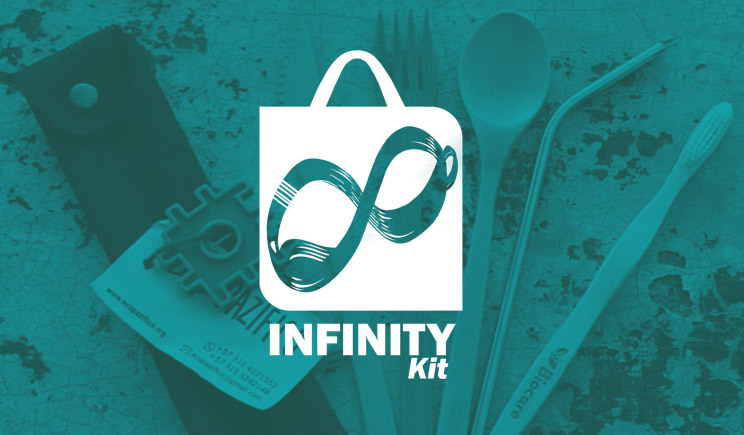 For participating in the activities of Ecopazifico, the children get rewarded with the #Infinitykit. A set of reusable utensils to reduce consumption of plastic pollution. You can also join our BUY ONE, GIVE ONE program. Please contact us.